Craving a cucumber sandwich on this warm spring day and a mental scan of the fridge came up with this twist. Quinoa is a good replacement for the texture and filling qualities of bread. 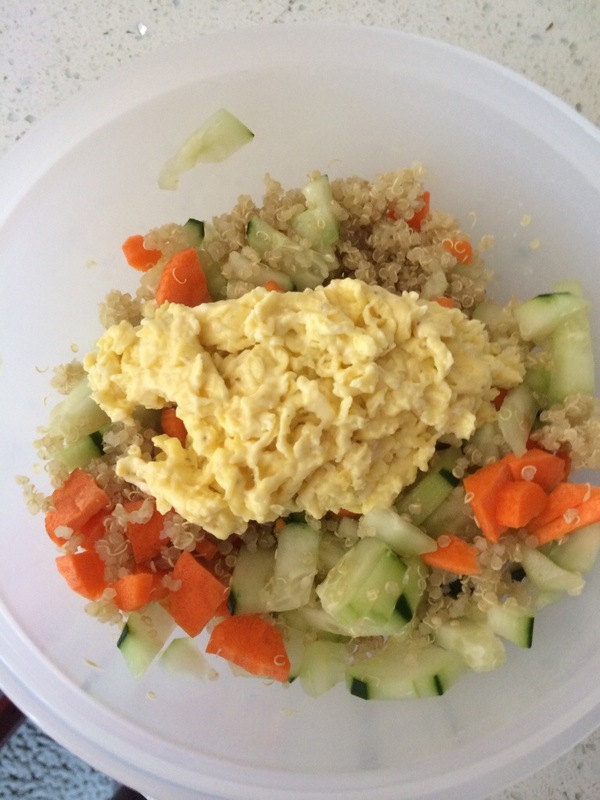 Lots of crunch, fresh cool cucumber and carrots contrast the warm egg and mayo salad on top. Categories: Main Dishes | Tags: Allergy Friendly, Dairy Free, Egg, Gluten Free, gluten free bread, Gluten-free diet, Low Sugar, Nut Free, paleo, Quinoa, Soy Free, Tree Nut Free, vegetables, Wheat Free | Permalink. I was looking at cream cheeses in the grocery store and a fellow non-dairy eater said her preference is the Tofutti Better than Cream Cheese over Daiya Cream Cheese. I decided to do a side by side of Go Veggie! and Tofutti based on the fact that Go Veggie! makes a better cheese shred than Daiya. Let me preface this by saying I do not typically eat tofu and the only time tofu has tasted good to me has been in a tofu pumpkin pie where the tofu was hidden amoung other strong-flavored ingredients. The Go Veggie was a little watery from being opened in the fridge a few days and the hot bagel made it melty even more. The first time it was freshly opened and spread on the bagel it resembled the tofutti spread thickness. 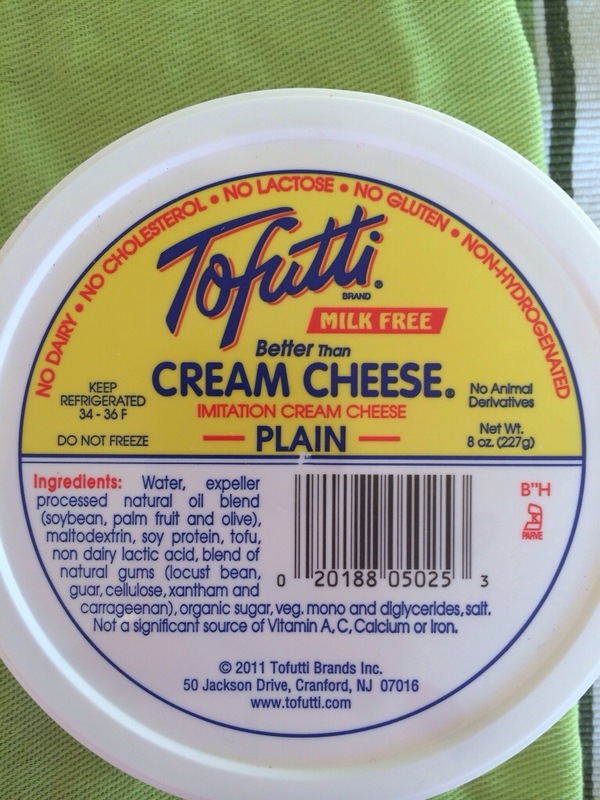 I found the Tofutti to be the right consistency of cream cheese, but was bland in flavor and lacked the “bite” in typical cream cheeses. 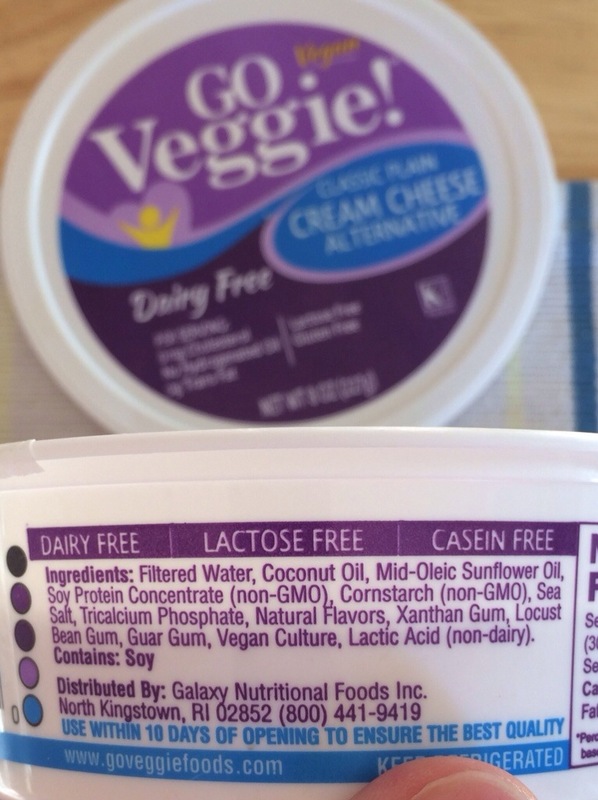 On the Udi’s Gluten Free bagel, the two non-dairy cream cheeses were hard to differentiate. 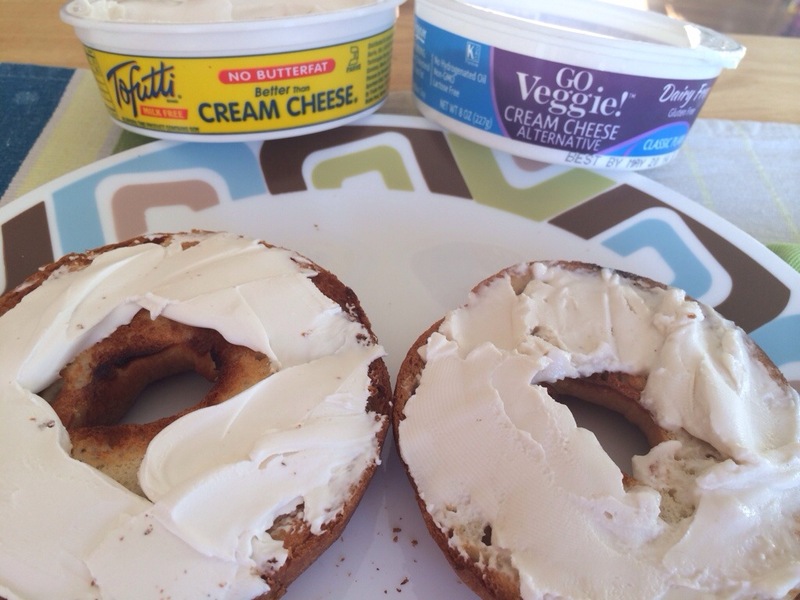 So if you are just looking for a product that is the consistency of real cream cheese, then either would be a viable option. 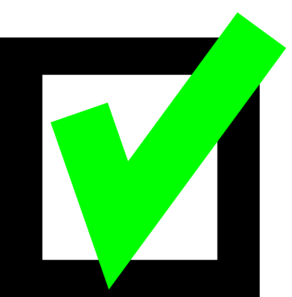 Categories: Food Reviews | Tags: Allergy Friendly, Daiya, egg free, Gluten Free, Gluten-free diet, Go Veggie!, Lisanatti SoySation, Lisnatti RiceCheeze, Low Sugar, Non-Dairy, Nut Free, Peanut Free, tofutti, Tree Nut Free, Vegan, vegetables, Wheat Free | Permalink. 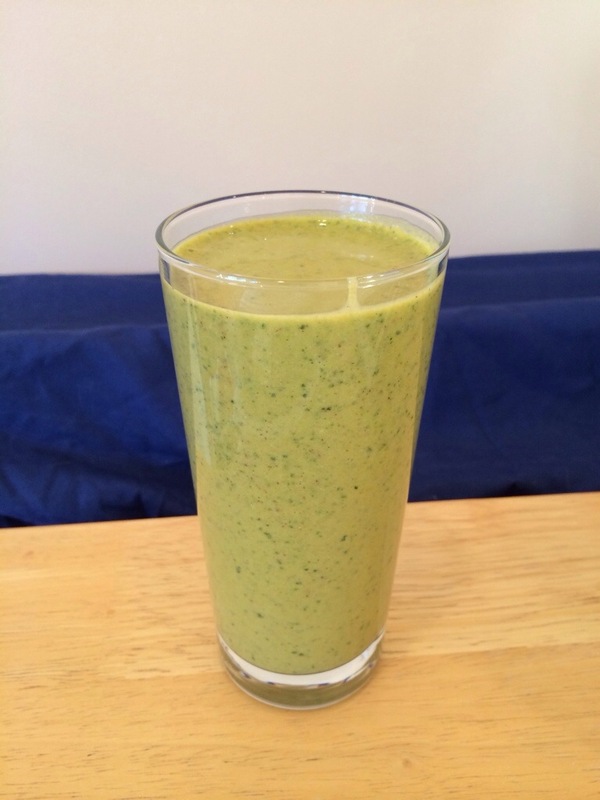 Butternut and Kale are vitamin rich vegetables so this smoothie packs a punch! 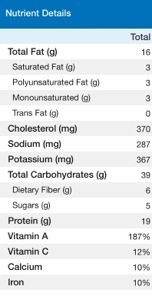 This smoothie has an amazing amount of potassium, vitamin A, Vitamin C, high in fiber and about half of your daily iron. Would be a great treat if you are coming down with a cold or had a difficult workout and need to renew. Cooking the butternut squash first and then either freezing it for later or adding it to the smoothie after it’s cool is an option over eating it raw. Cook it in your oven on a baking tray at 400 degrees for about 45 minutes. You don’t have to chop it before you cook it, just put it in the oven whole. After it’s cooked and cools, cut it in half and remove the skin and seeds. A majority of the skin will fall with little effort. 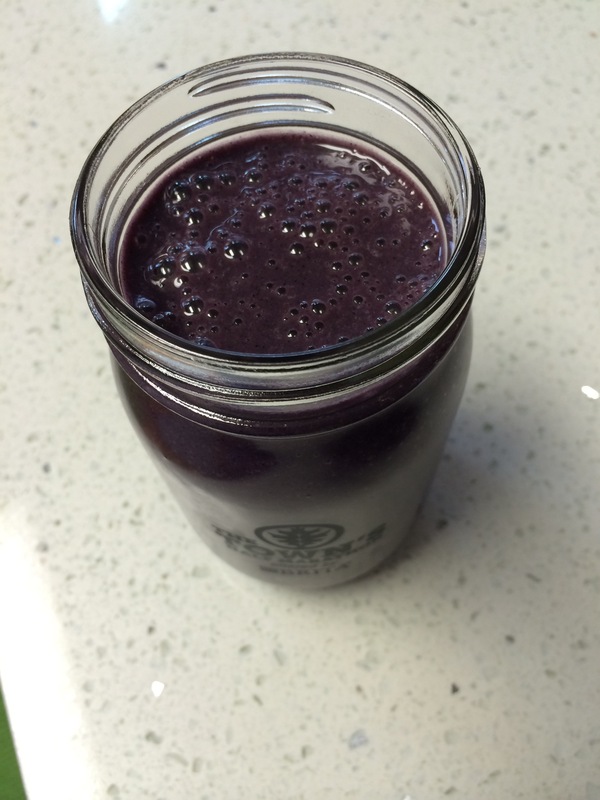 Freeze in 2.5 cup portions so you can make this smoothie in a jiffy later on. Makes 5 cups of smoothie mix. Save the leftovers by freezing it and then using it in pancakes instead of milk. 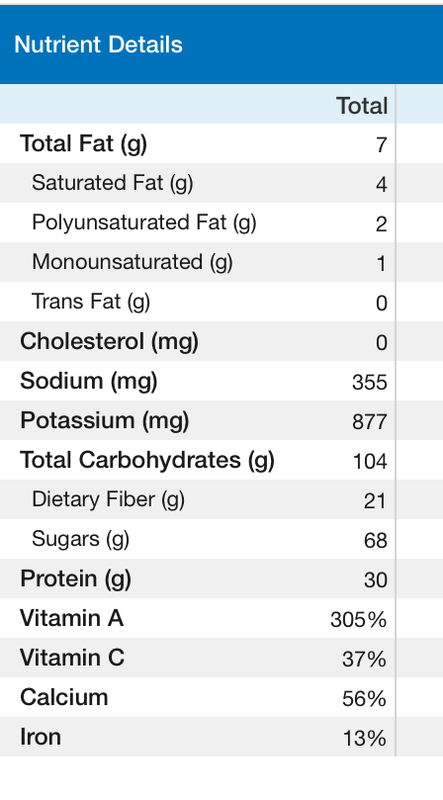 Place all ingredients except banana and kale into blender. Blend, add remaining ingredients until smooth. Categories: Recipes, Smoothie | Tags: Allergy Friendly, arugula, Black & Decker Blender, coconut milk, Dairy Free, egg free, Fiber, Gluten Free, Gluten-free diet, Iron, Low Sugar, Nut Free, paleo, Pecans, Plant Forward, Potassium, Protein Powder, pumpkin, pumpkin spice, Smoothie, Soy Free, Vegan, vegetables, veggies, Vitamin A, Vitamin C, walnut, Wheat Free | Permalink.